Follow this link to download the final report on NCC forest lands near Champlain Park, undertaken by John Arnason (University of Ottawa Botanist) and colleagues in 2016. Winter seems to be going, coming back, going … but eventually the buds on the trees will swell and spring WILL arrive. To enhance your appreciation of our urban forest and as a kick-off activity for Champlain Park’s environment activities, join naturalist Owen Clarkin for a walk through the Champlain Woods and various streets to learn how to identify trees when there are no leaves present. Owen Clarkin grew up near Russell Ontario, and has been studying the trees of Eastern Ontario as a dedicated amateur since the age of 4. After finishing a conventional education in the natural sciences, he has been more seriously exploring topics in tree ecology from an Eastern Ontario perspective, together with a core group of colleagues. Below is a snippet of a previous presentation given by Owen Clarkin a few years ago in South Frontenac. Removal of identified Ash trees within the NCC forest are scheduled to begin Wednesday May, 11,2016. Access to the forest will be limited during this time for the safety of users. Initial operations will begin Wednesday May 11, 2016 with planned completion by the 20th of May. A Biologist will be onsite Monday and Tuesday identifying active nests. All work is conducted in accordance with the overall EAB strategy: http://www.ncc-ccn.gc.ca/property-management/what-we-manage/emerald-ash-borer. Fantastic X-Ski, snowshoe trail open along Parkway! The trail is in excellent condition, suggest you give it a try if you haven’t already done so. 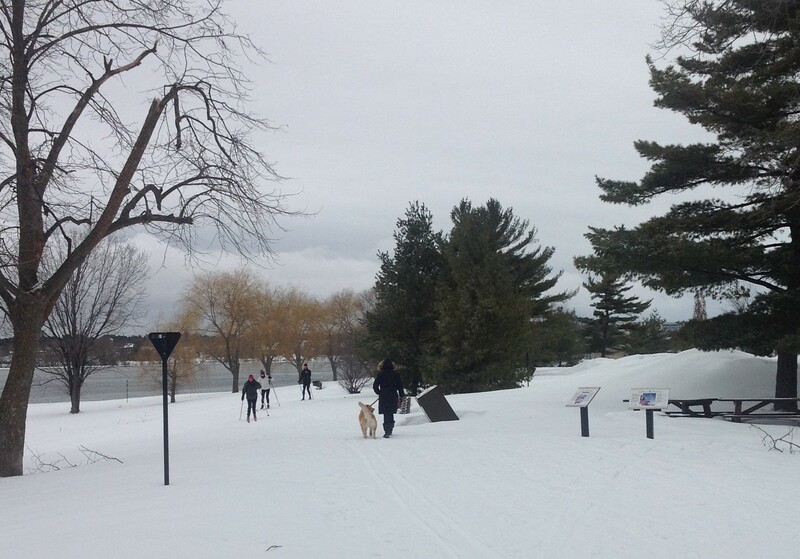 The “Sir John A. Macdonald Winter Trail” runs from the Canadian War Museum to Westboro Beach. 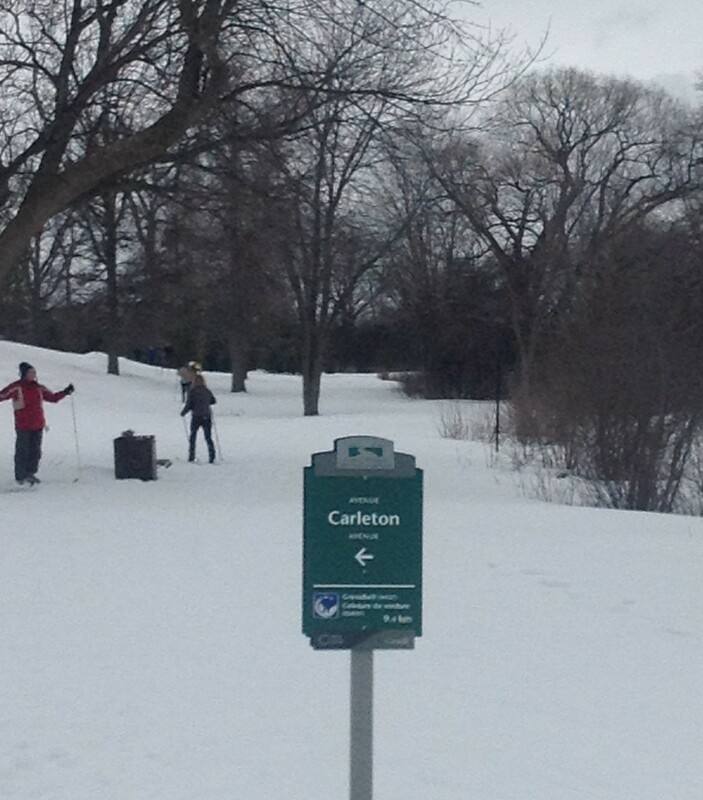 You can access the trail at the Champlain Park – Carleton Avenue entrance to the NCC Forest. Many Thanks for your community spirit! We would like to send out a huge thank you to all those involved in this project, for their hard work and dedication in making this become a reality. Thanks to the Westboro Beach Community Association, the National Capital Commission, Kitchissippi Councillor Jeff Leiper and especially Dave Adams of the Nakkertok Ski Club for making this happen. I was going to post the notice about a panel discussion the NCC is holding about the urban forest (since we have a local group of people interested in our forest), but the session is full. However, there is a live video feed of the proceedings. Join us for a discussion on the urban forest and the vital role it plays in the city. We will explore the benefits of the urban forest in terms of community health and regional biodiversity, as well as the aesthetic and ecological benefits it provides. This event on the urban forest is presented by the National Capital Commission (NCC) in the Capital Urbanism Lab. Follow our Urbanism Lab live on Periscope! The Champlain Park Community Association (CPCA) and the National Capital Commission (NCC) have entered into an agreement to cooperate in the management of the forested area on NCC land between Northwestern Avenue and Island Park Drive north of Premier Avenue. This agreement enables the CPCA to promote and facilitate community projects aimed at improving the forest area. Following is a statement of the goals and objectives of the programme and guidelines for individuals and groups that wish to contribute ideas, time and resources. The NCC forest bordering our community is an integral part of the community experience. Transformed from its natural state by cottage development in the 1900s and severely damaged by the 1998 ice storm, it currently serves as an area for walking, a home for wildlife and a buffer between the community and traffic on the Ottawa River Parkway. An informal Committee has been established to promote and facilitate community projects consistent with the overall goals and specific objectives of the programme. 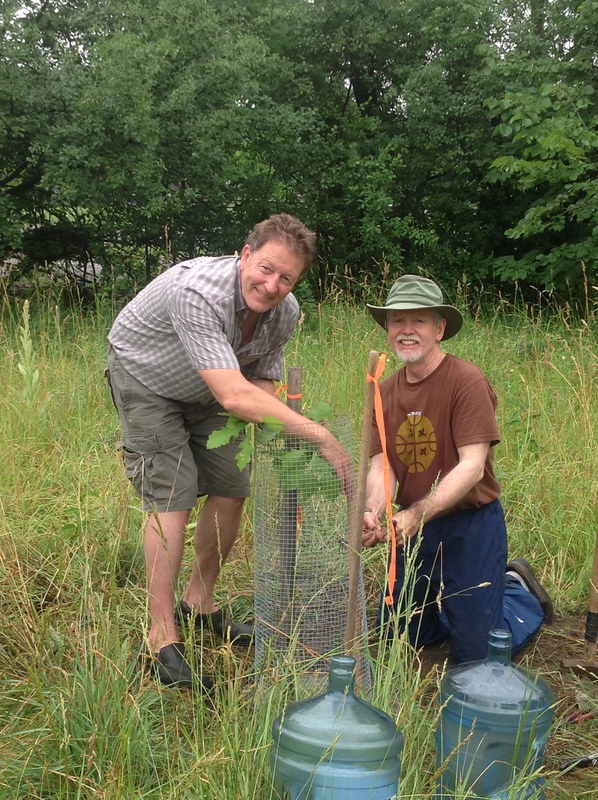 The first action under the agreement with the NCC was the planting on Canada Day (2015) of a local bur oak sapling 10 metres to the west of the Carleton entrance to the forest. It is protected by a small fence, and watered by nature and dog walkers. You are invited to contribute project ideas or give time and resources to bring about improvements to the forest. You can do so by contacting members of the programme committee listed below. State how the project fits into the overall goal and specific objectives of the programme. Indicate who will be involved, and how you intend to safely mobilize the people and other resources needed. Approved projects will operate under the general protection of the CPCA liability insurance policy. Discuss your ideas with any of the following committee members: Adrian Bradley (chair), Daniel Buckles, Eloise Holland, Roland Dorsay, John Arnason, Dennis Vanstaalduinen, Nick Xenos, Jen Neate and Allan Ramunas.